Travel To Mauritius. . .
Air travel to Mauritius is the most common and fastest medium of transport. Some major airlines fly direct here, whilst Air Mauritius - our national carrier - uses Sir Seewoosagur Ramgoolam International Airport as a hub to various parts of the world. Looking to travel by train or drive the highways? Nope, we are in the middle of the ocean. The other alternative, albeit a limited one, is to get here by sea. Sailing in Port Louis harbour on board your yacht should prove to be no problem once all clearances are obtained. Else, if you are coming from nearby Reunion Island, a French Overseas Department, you can book a seat or a cabin on board a cargo-passenger vessel. 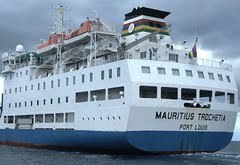 Both the m/s "Mauritius Pride" and the m/s "Mauritius Trochetia" have regular shuttles on the Mauritius-Reunion-Mauritius legs. Each leg is covered in about 12 hours. 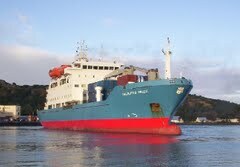 Departures are normally planned in the afternoon to reach the corresponding island early morning the next day. Click here to read more about airlines flying to Mauritius Airport. to plan private flight to Mauritius? Any person entering or leaving Mauritius must hold a valid Passport with expiry date at least six months beyond the intended period of stay. All persons coming from countries which are not exempted from visa requirements need a visa. A visa is issued free of charge either prior to travel or on arrival. Many European and other countries are exempted from visa requirement when the intended purpose of travel is for tourism purposes. If sponsored by a Mauritian citizen, a Letter of Sponsorship is required. Click here for Customs information to passengers travelling to Mauritius. A Yellow Fever Vaccination Certificate is required for travellers coming from regions where the fever is prevalent. Read more . . .
Mauritius is a year-round vacation destination. With only two seasons, the island enjoys a mild tropical climate throughout the year. Summer is generally hot and humid with plenty of sunshine whilst in winter the air is drier with a predominating cooler temperature. Occasionally the island is hit by a tropical storm. August 2012: Mauritius Airport New Terminal is planned to be operational in April 2013. December 2010: Mauritius’ aspirations in becoming a flamboyant and exuberant tourist destination have been rewarded with various accolades in 2010. October 2010: A new terminal designed by Aéroports de Paris Ingénierie is under construction to respond to a projected increase in passengers' flow.